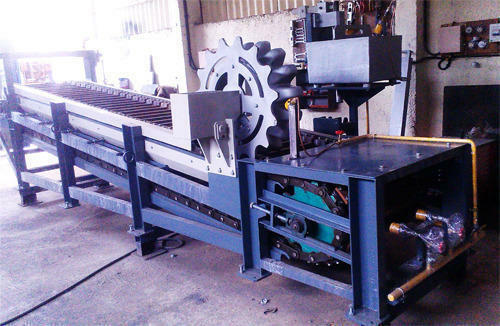 Owing to our years of industry experience, we are offering a wide range of Automatic Ingot Stacking Machines. Offered stacking gantries are widely appreciated for their best usage in various engineering industries. These stacking machines are well designed and manufactured using the best grade basic material and modern technology in synchronization with the set industry standards. Furthermore, to avoid any flaws, our quality controllers examine these stacking machines against different parameters.